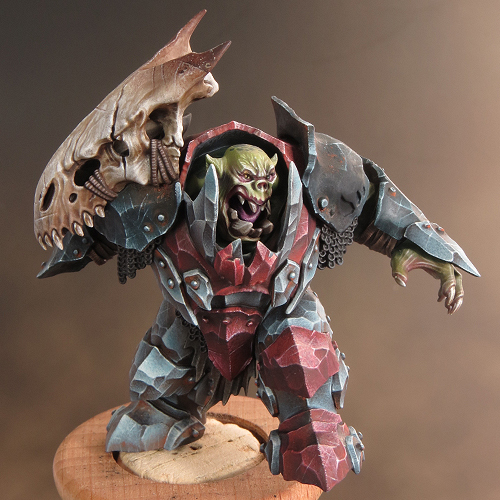 Once I’d finished his black armour the main part of the Megaboss was looking more complete. There are quite a few details to attend to but the outstanding major elements are the axe and the dracoth skull on his shoulder. I decided to turn my attention to the skull. As the single most striking element of the mini, it’s the thing that first drew my attention to it. 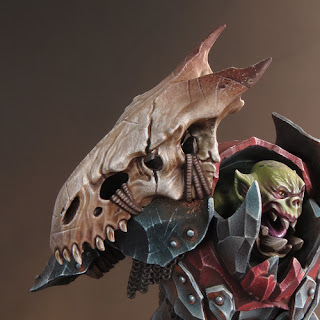 And, as much as I’ve enjoyed painting the armour, the skull has always looked like it was going to be the fun part of the job! I haven’t been disappointed. 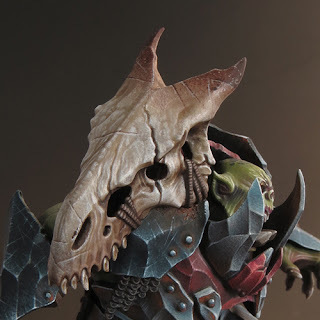 Painting the skull was a thoroughly enjoyable experience and I’m very pleased with the result. A major part of the painting process went into resolving the textures. 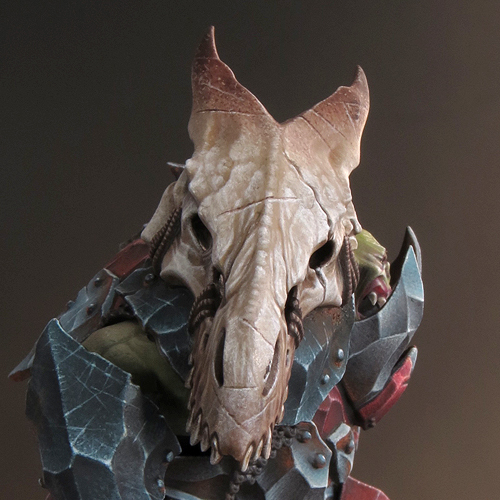 I wanted the skull to have a slightly rough, gnarly looking texture. In addition to the bone texture, I wanted to add chips and scratches. A lot of fun was had resolving these textures and figuring out the balance between then. 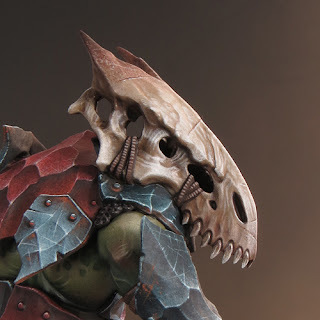 My colour palette for the skull is one I often use for bone. 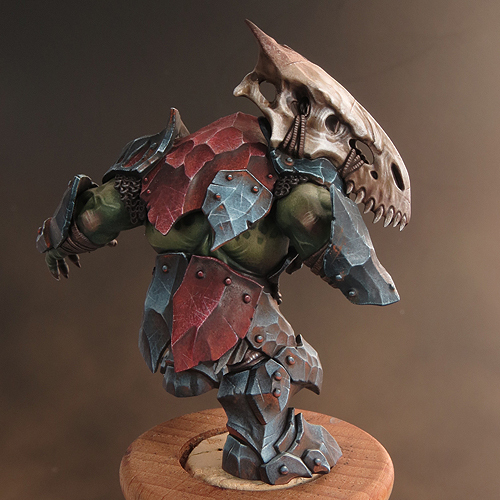 The shading is built up with a series of glazes using the The Army Painter Quickshades. Rhinox Hide adds a bit more depth and opacity to the colour of the horns. This combination gives me a good range of yellow/brown and red/brown shades to play with. I built the highlights on top of the mid-tones by gradually adding white to the Rakarth Flesh. The final highlights are pure white. Once the highlights were dry, I glazed a little dilute soft tone quickshade here and there to soften the effect and tie everything together.